April is National Poetry Month here in the United States. National Poetry Month is the largest literary celebration in the world, with tens of millions of readers, students, K-12 teachers, librarians, booksellers, literary events curators, publishers, bloggers, and, of course, poets marking poetry’s important place in our culture and our lives every April. It was started by the Academy of American Poets in 1996. Those who follow PaisleyPerspective know that I am a poet. Of my many activities, poetry is one of my oldest passions in addition to politics and social activism. I have written poetry since I was nine years old. I’ve studied the art of poetry while in college as well as currently. There are so many poets I have yet to read and study. Today the “Poem a Day” poem from the Academy of American poets is by Claude McKay. I have also received poems by him in February via The Poetry Foundation. The art of poetry surrounds us each day, especially if we listen to lyrically based music. Join me in learning about poets of the past and the present. 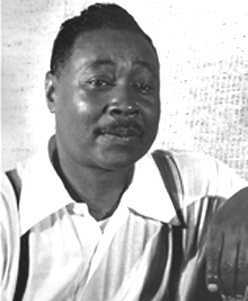 Claude McKay was born in Jamaica on September 15, 1889. His older brother, who possessed a library of English novels, poetry, and scientific texts, educated him. In 1912, McKay published a book of verse called Songs of Jamaica (Gardner), recording his impressions of black life in Jamaica in dialect. McKay was a key contributor to the Harlem Renaissance in addition to speaking out against racism.